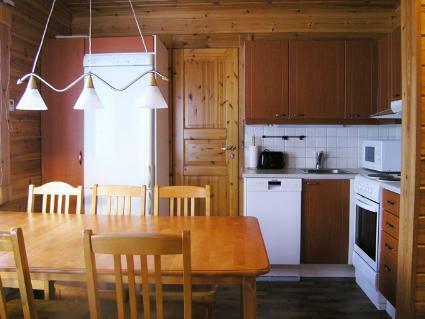 This apartment in log semi-detached house located in Vuokatti ski centre was completed in 2002. 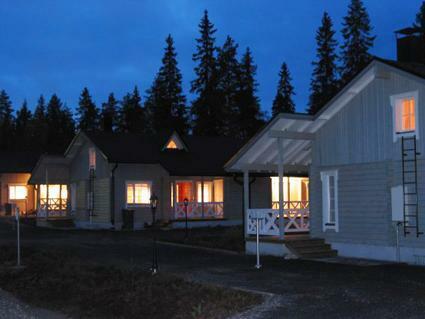 Combined living room & kitchen, two bedrooms, one with twin bed, the other with separate beds for two, sauna (electric heating), washroom and two toilets. 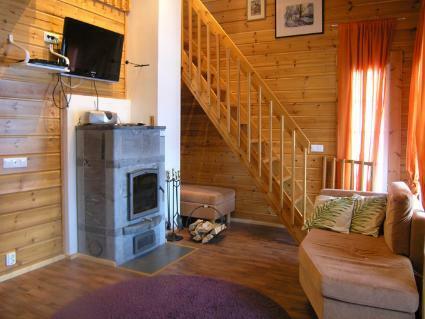 Loft with 2 beds and 2 folding extra beds. Internet connection. 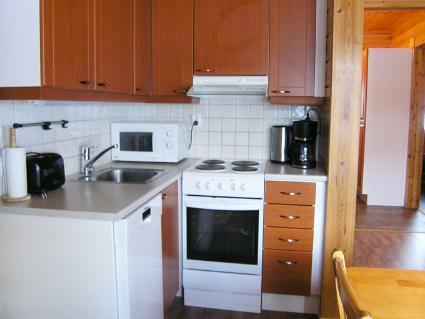 Kajaani 34 km, Sotkamo 8 km. 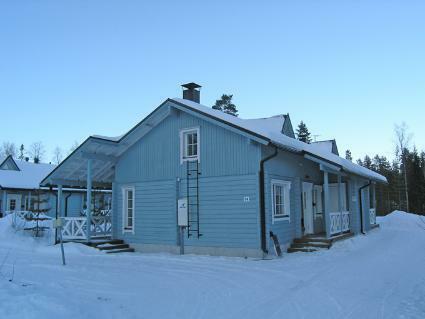 Vuokatti ski slope 100 m, cross country track 150 m. Small lake 2 km. No pets allowed. Barbecue hut in shared use.